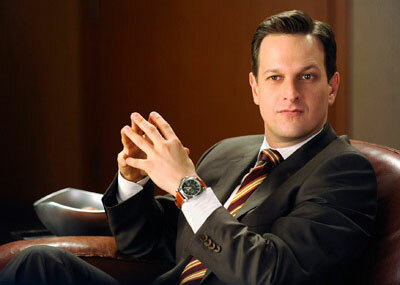 On Sunday, one of the biggest shockers was the death of beloved character Will Gardner on the CBS show, The Good Wife. Twitter was in a frenzy over Josh Charles‘ dramatic exit from the hit show. In this era of spoilers and no secrets, thanks to social media, Charles, the cast and crew were able to keep a massive secret. The 42-year-old actor had signed on for Season 5, but not all of Season 5. Charles spoke to TVLine about his big decision to leave the critically acclaimed show. The decision to leave was a pretty simple one for the former Sports Night star, but he wanted to make sure he honored the integrity of the show. The one concern about leaving was disappointing his co-star. Charles shared what their off-camera relationship is like. “Julianna and I are very good friends. She’s the reason I’m doing this show; she thought of me for this role, and called me about it when they were casting it. That friendship and bond will always be there. She was the first person I called when I was considering what to do. I talked to her very honestly about how I was feeling, and, as a friend, she really understood my point of view and respected that decision,” Charles said. Even though the actor left a network television show, don’t assume he’s eliminating another series from a list of possible gigs. He just wants something with an easier schedule.